1971 Grand Champion Diamond Duke, was foaled on the Dale Esther farm near Lebanon, Mo. On May 15, 1967. He was the first colt sired by 1968 Grand Champion Zane Grey. His dam as the first foal sired by 1966 Grand Champion Golden Rawhide. When Duke was five months old, Helen Jones of Waynesville, Mo. purchased him as a birthday present for her husband, Wayne. Wayne Jones raised Diamond Duke and broke him to ride. As a 2 yr. old Duke was shown twenty-two times and won twenty ribbons. He was high point 2 yr. old in the Central Ozark Horse Show Association in 1969. Dwight Sutherland put the canter on Duke and Wayne Jones showed the gelding all over Missouri as a three year old. Forty shows yielded twenty-five blue ribbons and ten second places. Diamond Duke closed the season by winning the 3 Yr. Old Stud and Gelding Performance Class and the 3 Yr. Old Stake at the Celebration. The 15′ 3 chestnut was shown twenty-five times and won twenty-one blues in 1971. 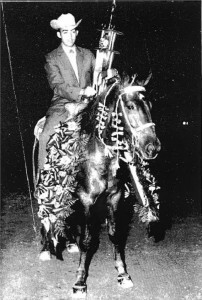 At the Celebration that fall he won the Senior Gelding Performance Class, then was unanimously judged 1971 Grand Champion with Wayne Jones up. After winning the Championship Diamond Duke was sold to Chari Smoot of Clarksville, Arkansas. He was shown by O.F. Nichols of Mansfield, M o. who later bought him. Then the Wayne Jones family bought Duke back and their daughter, Jill, showed him in youth classes. 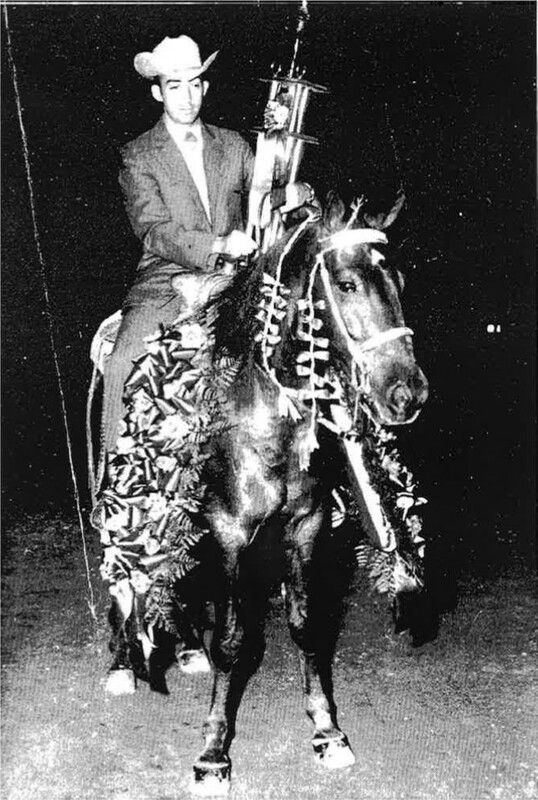 When 1971 Grand Champion Diamond Duke was sold again he went to the state of California.